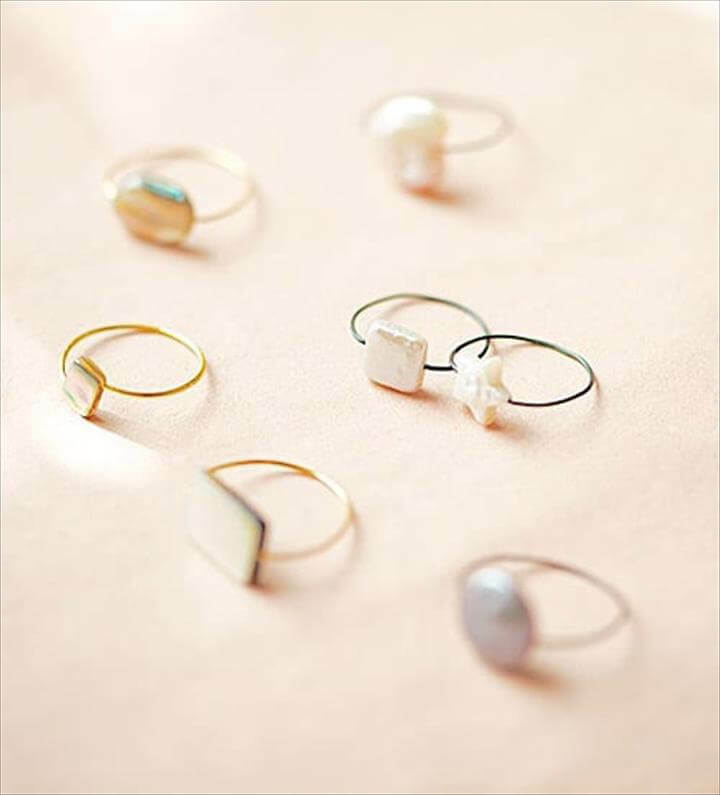 It’s about time you make some exciting changes to your jewelery collection with some unique and different ideas. 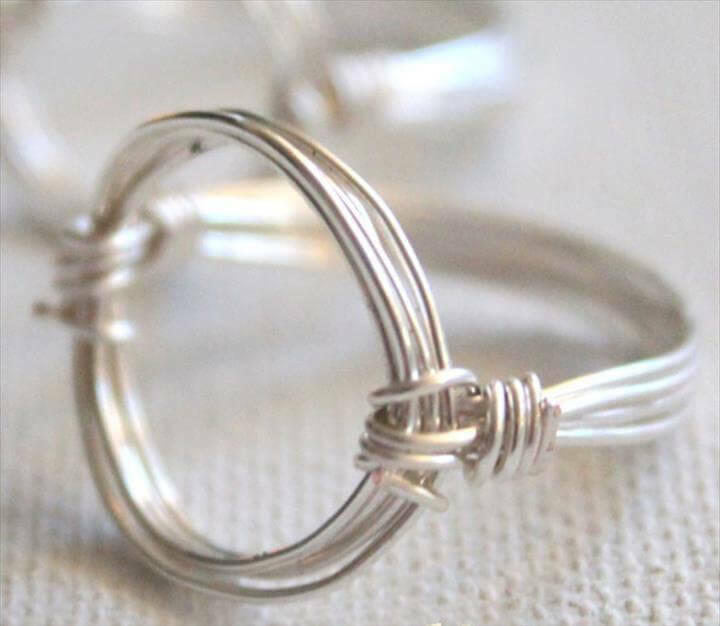 This list of some similar projects are basically rings made with wire. You need to have some of the basic crafts for these projects, wire and some other accessories for further decoration. 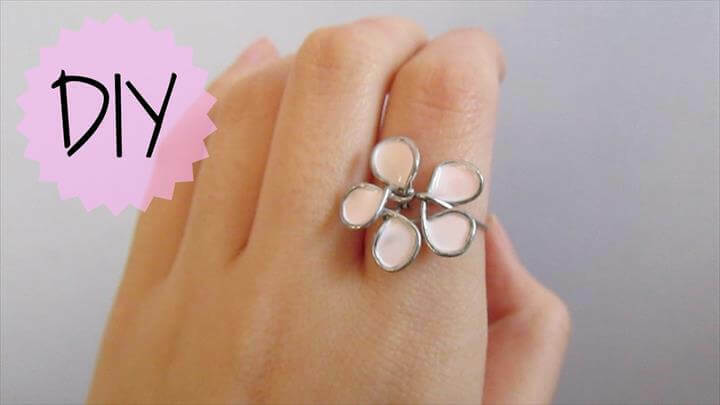 The first one here is a rose wire ring which is simple, elegant and beautiful. Follow the steps and make a rose out of a crafting wire such as you can see these beautiful ones over here. You can also make some other flowers as well. 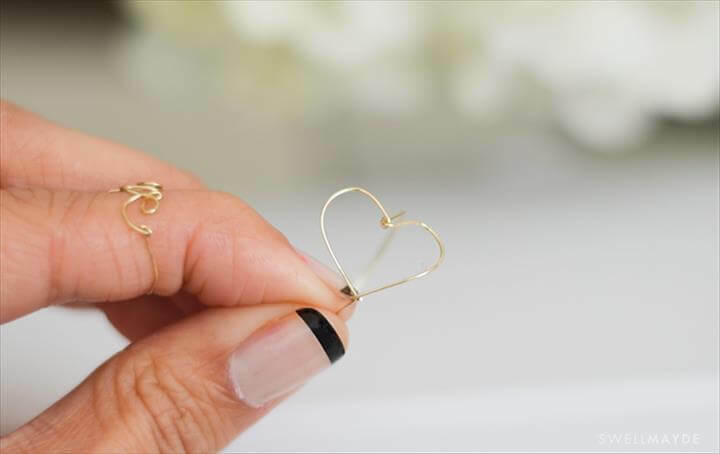 Besides this you can also make an all-time favorite heart shaped wire rings which is another example of delicacy and simplicity. 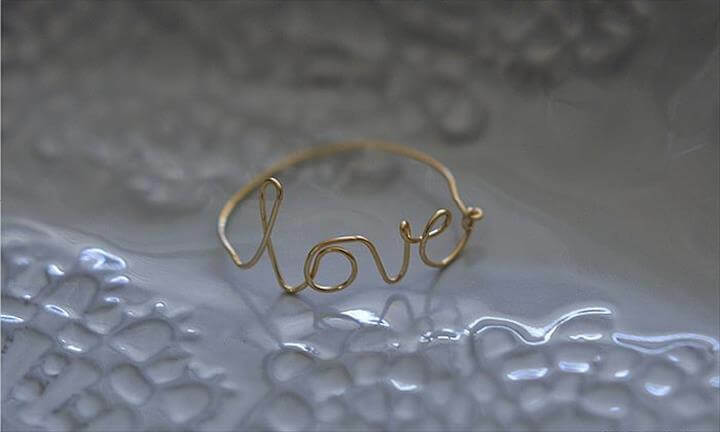 Also you can make some of the rings that truly speaks your heart like this next one here. You can either turn or twist the wire around to make it read ‘love’ or any other emotion that you want. 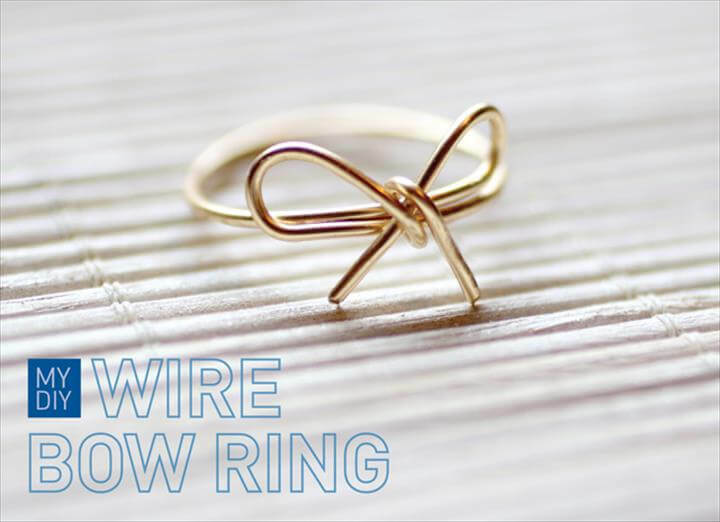 Next we have a bow wire ring which is also superb and attractive. 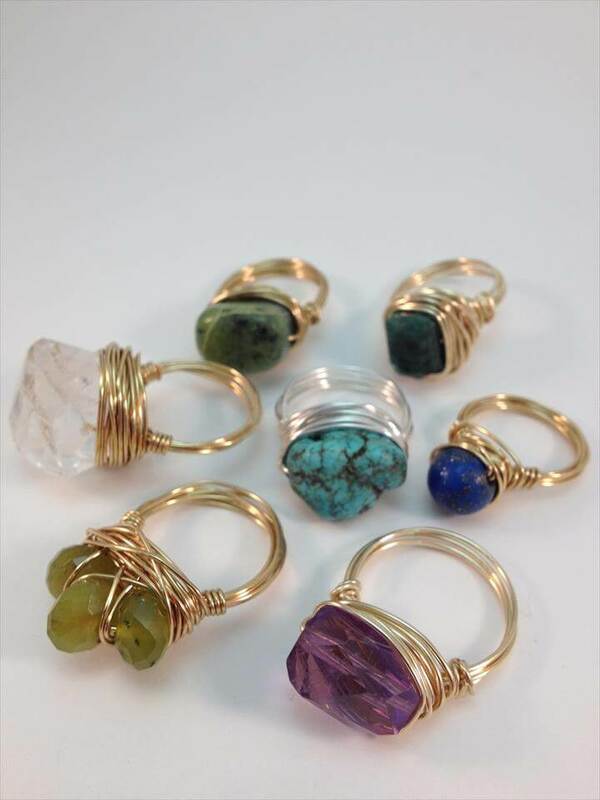 These golden and silver crafting wires can create some of the most outstanding and extra ordinary wire rings for you in no time and no expense at all. You only need to have some of the basic crafts, crafting wires, wire cutter and a few accessories like stones or spray colors. 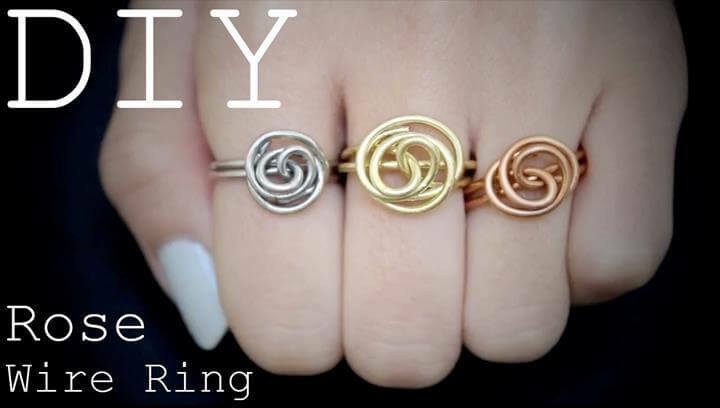 Share these amazing 10 DIY Lovely Wire Rings – You Can Try These with others too so that they may also add some spark to their collection and excite themselves. The projects have detailed tutorials also so that you can follow the step by step process without missing on the minor details.